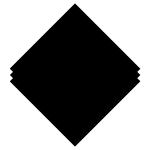 Holophon is a set of tools for the programming and real-time manipulation of sound trajectories across different speakers. Its main development is the Holo-Edit trajectory editor. 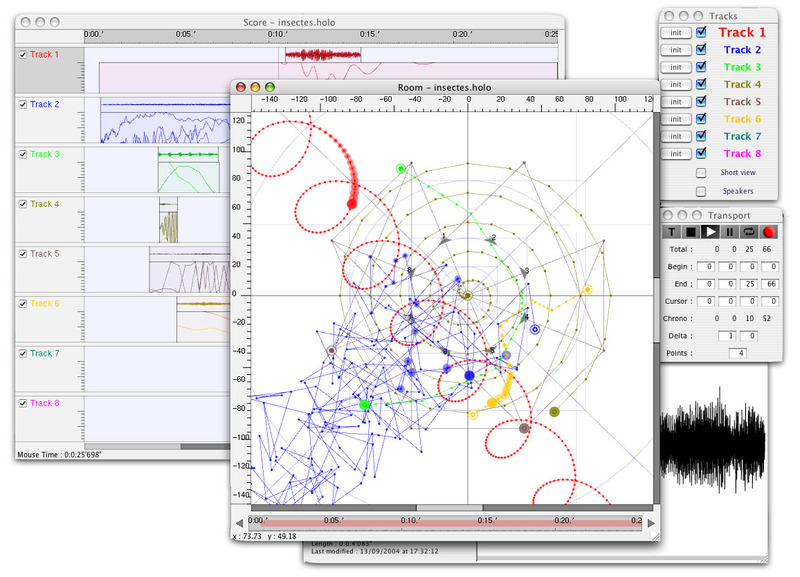 It’s a graphical and algorithmic editor of sound trajectories. Holo-Edit makes it possible to draw and graphically edit trajectories across a complex sound system. It’s also possible to program those trajectories with different automatic functions. HoloEdit is a set of graphical editors and algorithmic functions for creating and manipulating sounds in space. This software allows for the precise positioning of multiple sounds in time and space (defined by a set of speakers). In order to do so, it associates sounds to trajectories (a set of points defined by their position in space (x, y, z) and their date). HoloEdit also supports the SDIF format so that it is possible to generate/transform sound trajectories from SDIF data.